For the past week, most of you have been browsing and downloading at no cost with the http://littlebitjohnny.blogspot.com /2016/07/airtel-unlimited-browsing-with-n000k-on.html" target="_blank">airtel BBLITE unlimited browsing tweak that we dropped here. But it quite unfortunate that at the dawn of yesterday, the tweak suddenly stopped working. For those that enjoyed it, you can attest to the speed initially when we dropped it, but at some point in time, let say 3 days ago the blazing speed dropped because of the numerous users that started getting in to share from the national cake of the free browsing. Nevertheless, we assure you that more browsing and download tweaks are already in the pipeline waiting to mature and be unleashed for your delight as usual. But for now, you can continue with the http://littlebitjohnny.blogspot.com /2016/04/hurray-how-to-use-airtel-3gb-for-n1000.html" target="_blank">Airtel BB plan of 1K for 3GB on your android, which is still rocking like thunder or you can go for cheap Glo data plans, especially those of 2K for 6GB and 2.5K for 10GB. What you need to do to get these tweaks on time and to enjoy them to the fullest is for you to always check in here or better still subscribe to our blog newsletter and be rest assured that you will get them hot and timely. You have finished reading Sad! 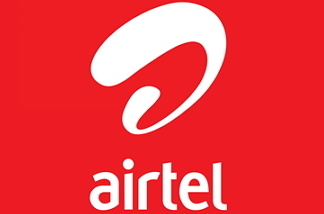 Airtel BBLITE N0.00 Unlimited Browsing Tweak Stops Blazing But More Tweaks On The Way and many articles about Tech Gallery in our blog this, please read it. and url link of this article is https://littlebitjohnny.blogspot.com/2016/07/sad-airtel-bblite-n000-unlimited.html Hopefully discussion articles on provide more knowledge about the world of new tech gadgets.